Black Sabbath will release “Supersonic Years – The Seventies Singles Box Set”, on June 8. The limited edition 7” vinyl box documents the band’s singles issued during their classic, original lineup era from 1970 to 1978. Following the release of their 1970 debut single, “Evil Woman”, Black Sabbath enjoyed its biggest singles success later that year with the title track to their second album, “Paranoid” – a top 5 hit in their native UK – and wouldn’t see significant numbers again until 1978. Remastered by engineer Andy Pearce, the collection delivers 10 of the group’s 13 singles (full track list below) from a time when Black Sabbath were focused on being an album band. Black Sabbath wrapped up a farewell tour in their hometown of Birmingham, UK in February of 2017; their final performance is featured on the live package “The End”, which was issued last fall. 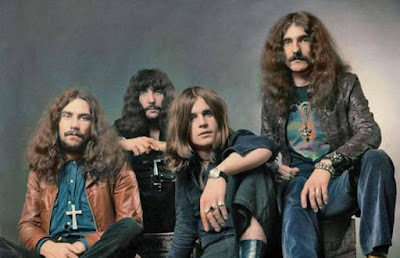 With more than 70 million albums sold worldwide, Black Sabbath were inducted into the UK Music Hall Of Fame in 2005 and the Rock And Roll Hall Of Fame in 2006.